There have been ups and downs in the garden. First of all, there was this bugger, who immediately became enemy number 1. So mean and selfish to eat the entire top of the green pepper plant yourself. But I am happy to say that the pepper seems to be growing some new leaves, so I’m hopeful he will recover. Our cucumbers are still being rockstars. 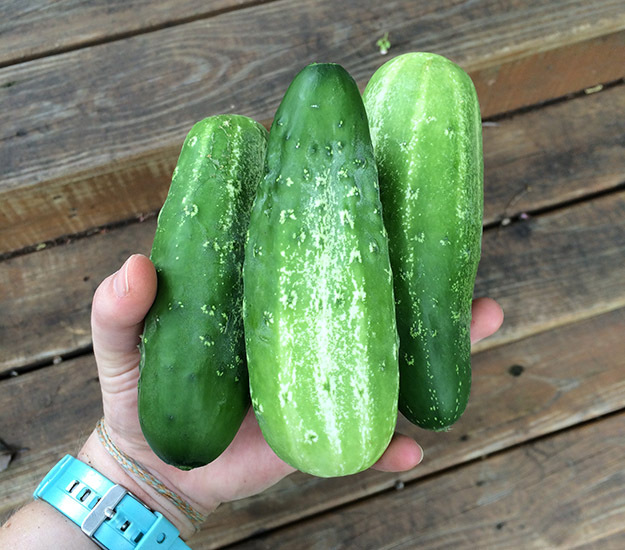 We have tons of pickles to make, and so many lemon cucumbers. 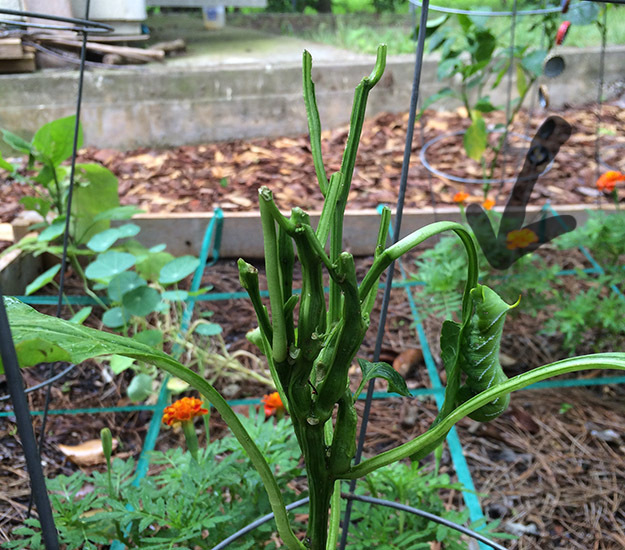 I think our squash plant got a little too moist, and encouraged some bugs to visit. He was doing so well, and then I found a bunch of holes in his stem, and his leaves wilted. 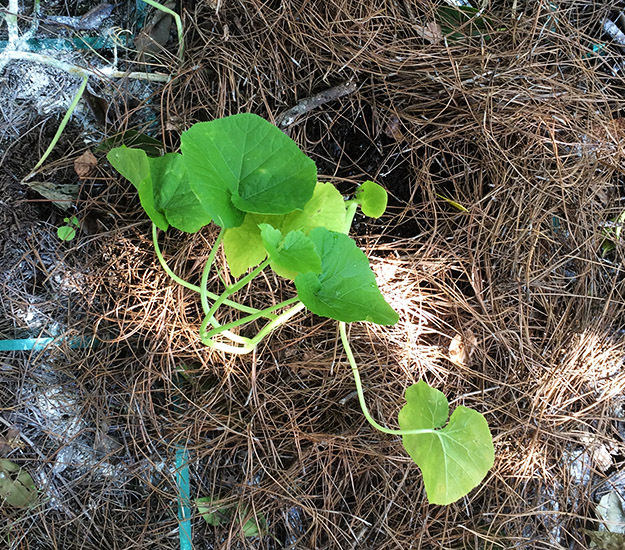 I thanked him for his service, and now we have some pumpkins growing there, which I am excited about. Finally, our spinach patch has really taken off. 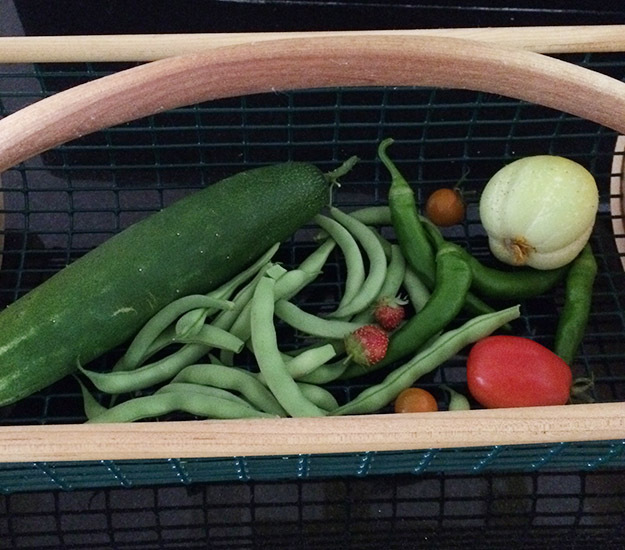 Its pouring rain this afternoon, but I’m planning to make the first big harvest soon. What shall I make with it?? 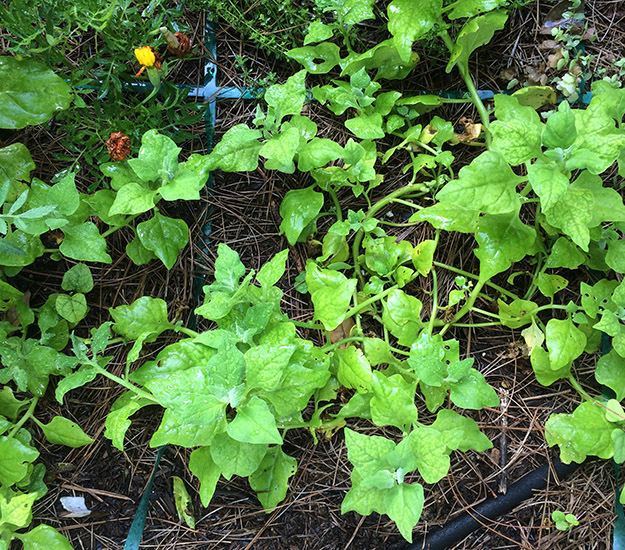 This entry was posted in Life and tagged backyard garden, cucumbers, garden, gardening, homegrown, organic gardening, spinach on June 30, 2015 by Chelsea.